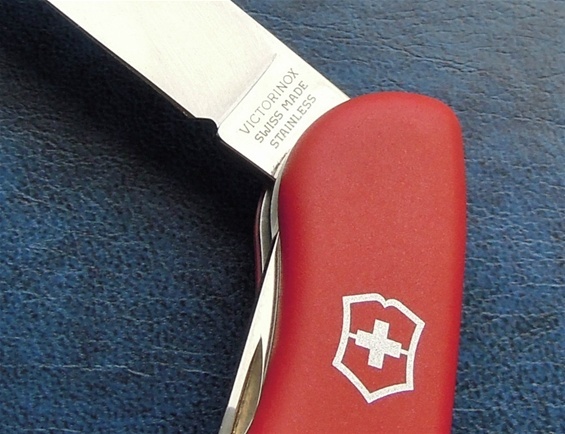 Here is my latest Victorinox knife and it is the Picknicker 0.8853 model. 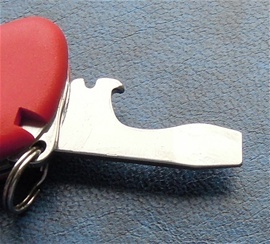 This is in the 111mm Slide-lock category. 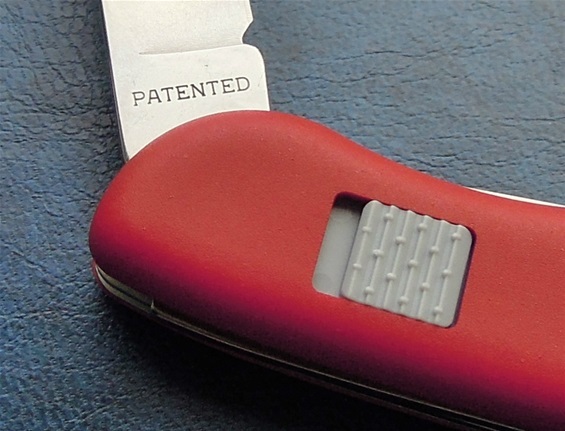 This category was made because there was a demand for a larger blade with a locking mechanism. The other functions on this are not so different at all from the traditional ones. They are also slip joint and floating spring constructions. This model represents to me one of the best to explain this category and differences. The long blade gives a greater comfort for larger tasks compared to the traditional 91mm knives. The longer ergonomic handle gives a higher safety during use so it is in symbiosis with the larger blade in both safety and comfort. 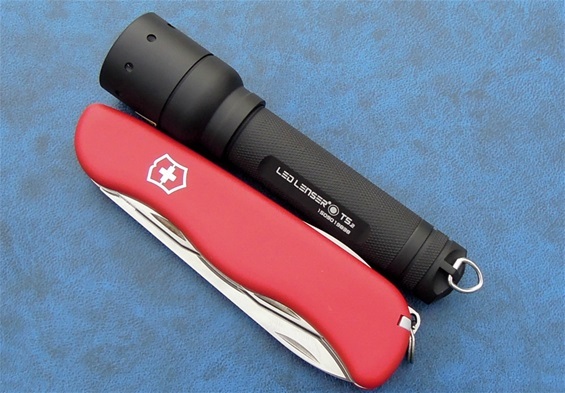 The 111mm category had a demand for a locking blade like mentioned and that is for the safety during use and to increase the comfort in my opinion. 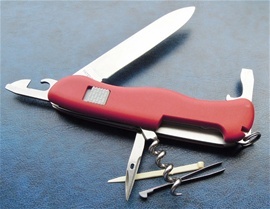 It is also very obvious that a long blade on a slip joint mechanism must have a lock to prevent accidental closing. So you have two major reasons for why one needs a lock. I have been very interested in the 111mm Slide Lock category and evolution. The 111mm slide lock construction is quality made.